In 2018, we are now living in a social media world and almost everyone is a social media personality in their own sense. There is no denying the fact that social media has become an inherent part of our lives. Be it Facebook, Twitter, LinkedIn or Instagram, a person’s virtual presence is everywhere, and so strong that it cannot be ignored. Saw a funny meme, post it on Facebook. Have an opinion about the political structure of the world, write about it on Twitter. Saw a beautiful sunset, upload it on Instagram. If you think that only your friends and family are the only ones liking or commenting on these updates, you would be wrong. It’s not just your inner circle, but also your employers and lenders who head to the social media to do a ‘background check’ on you. Social media plays a huge role in your personal loan approval. 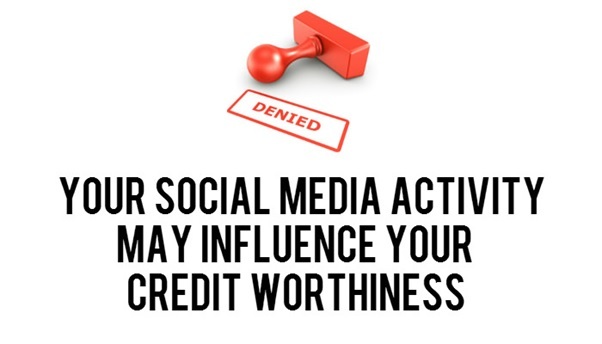 Your loan eligibility hugely depends on the way you behave on social media. The reason is simple. Personal loans are given to an individual without pledging any collateral. That’s why the genuineness of a person matters the most in judging his or her creditworthiness. The higher a person’s creditworthiness, the more the chances of the person easily getting a personal loan from banks and institutions such as Tata Capital. Right from what you are sharing on social media platforms such as Facebook and LinkedIn to what you are tweeting on micro blogging sites such as Twitter, lenders keep a watch on everything. They track your behaviour pattern and analyse the way you are reacting to different social, political and financial issues. And depending on that they try to gauge the kind of person you are. Therefore it’s very important to firstly maintain a genuine and active profile. Secondly, be careful about what you post or share. And thirdly, be very wary of befriending unknown people on social media platforms such as Facebook and LinkedIn because lenders even take into account your social circle – the kind of ‘friends’ you are mingling with, how trustworthy are they, do they have a debt history? All such things are taken into account. If any of your connections have a history of debt burden or have poor credit scores, there is a likelihood that your application for a personal loan may also be rejected. You will keep wondering what led to the cancellation despite you having a near-perfect credit score yourself. The real culprits may be your debt-ridden virtual connections. Lenders will never associate themselves with people who are friends with history cheaters. On the contrary, for instance, if your friend list has people with a clean credit history and strong CIBIL score, it will improve your chances of getting a Tata Capital personal loan or similar such loan approval. After all, lenders want to be sure that their money comes back to them at the stipulated time, and do not turn into a non-performing asset (NPA). Banks or lenders such as Tata Capital also check the mutual contacts, who were previous or are current customers of the lender. Their repayment habit also impacts your trustworthiness. The repayment capacity of the applicant is also checked through social media before a loan is sanctioning. In such cases, LinkedIn is one of the best sources to procure data regarding the job history, duration and designation. The place of work must match the place of work shown in your loan application else it may tantamount to fraud. By studying your LinkedIn professional information, lenders try to make an idea about your source of income and repayment capacity. The LinkedIn profile serves as a means to prove your authenticity as a borrower. READ Which Types Of Self Managed Super Funds Are Available? Last but not the least, among the few things to not trust blindly are the security settings of your social accounts. You may have set it to ‘Friends Only’ but you never know from where information can get leaked. So if you tweak those settings and go overboard on social media thinking that lenders will not be able to see your activity, you are nothing but a fool. Judging a person by their social media profile becomes all the more important when he or she is a first-time borrower. There is no way to check the person’s credit history. In that case, it’s almost certain that lenders will give some added weight to their social media profile, and for such people, it becomes all the more imperative to maintain a clean presence in the virtual world. Loans such as Tata Capital personal loans will become easier to procure if you follow the above guidelines. All you need to do is be judicious in your social media behaviour and not overreact to things on such public platforms. Keep this in mind, and you are sorted.